For many people, Paris is about fashion week, macarons, fancy hotels and champagne. But for me, that side of the city always felt so shallow. 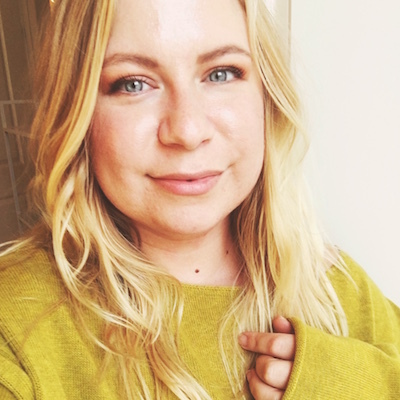 I got the most out of the city by simply walking around, looking at all the architecture, watching life unfold, learning a new language and way of life. In fact, the ritzy, high-fashion side of Paris always rubbed me the wrong way because I don’t fit in with that demographic. 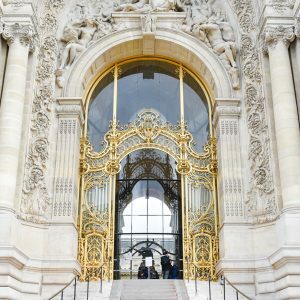 I have absolutely zero interest in Chanel bags and the hype surrounding fashion week, so if those are the types of things you’re interested in, then this Paris guide is not for you. I don’t mean any offense, I’m just being honest about my experience of Paris. 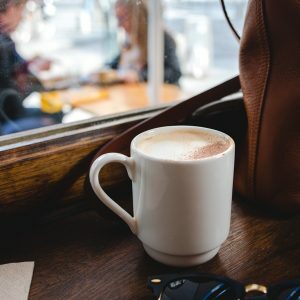 If you enjoy coffee shops, prefer wearing comfortable shoes, and you strongly dislike the crowds and noise that go along with one of the most touristy cities on earth, then I think you’ll get something out of this list. 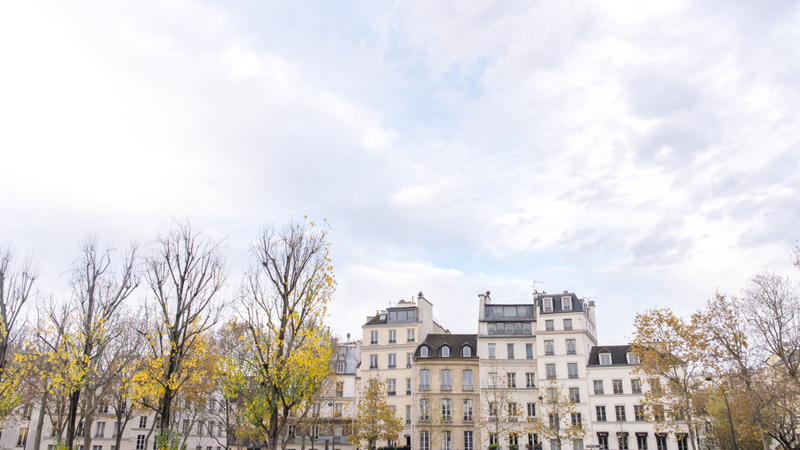 However, I’m certainly not claiming that I know all the coolest, newest, hippest, most under-the-radar addresses in Paris, because I just never had the energy for that. These are just places I found myself returning to on a somewhat regular basis, along with some travel tips mixed in. Coutume: For artisan coffee, this is where you go. Siphon, pour-over, espresso, cold-brew – all the coffee-brewing methods you can think of, they do here. Also, they have some pretty great food and a table in the back reserved specifically for people with laptops. 47 rue de Babylone, 75007. Shakespeare & Co. Café: Yes, it’s touristy, but if you overlook that fact, you’re going to enjoy some really good coffee, yummy snacks and a stellar view of Notre Dame across the river. I really love their Chai latte here as well as their veggie bagel sandwiches, made in partnership with Bob’s Bake Shop. 37 rue de la Bûcherie, 75005. Nuage Café: This is a cute co-working cafe housed in an old Gothic-looking building in the Latin Quarter. You access it via a huge, red door in a quiet sunken courtyard, so it feels like a welcome retreat far away from the noise of the city. I came here to work a few times. You pay by the hour rather than by the drink, but there are unlimited espresso drinks and snacks included in that fee. My favorite little area is the cozy loft filled with cushions, where shoes aren’t allowed. It feels like a home away from home, which is the perfect thing for students and work-from-home free-lanceers like me. 14 rue des Carmes, 75005. Pavillon des Canaux: This is a stand-alone building right next to a canal, and they played off the idea of it being a single family home by keeping each room separated. You can work, drink coffee, eat brunch, or chat in the purple bedroom, the turquoise salon, or even inside of a clawfoot tub in the “bathroom” that has been outfitted with cushions and a little wooden shelf. 39 Quai de la Loire, 75019. For a full list of coffee shops in Paris, head to this website: Good Coffee in Paris. Berthillon: Best ice cream I’ve ever had, hands down. Instead of pure sugar, this ice cream has true FLAVOR. The melon sorbet tastes like the purest, freshest melon you’ve ever eaten. Two of my favorite flavors are passionfruit and Caramel Beurre Salé (salted caramel). I recommend getting a scoop or two, then crossing over the Pont de la Tournelle, then strolling down to the riverbank to enjoy the view towards Notre Dame. Some of my best memories have been created while doing this. TIP: If the boutique is closed, just get some ice cream from any of the nearby vendors who advertise the Berthillon logo. 29 rue Saint Louis en L’Ile, 75004. Fou de Patisserie: For a wide and varied selection of the fanciest, most elaborate French pastries in the city, head straight for Fou de Patisserie on Rue Montorgeuil. All the top pastry chefs in Paris send their works of sugar art here. I had a cheesecake here that looked like a piece of modern sculpture, and it tasted darn good too. 45 rue Montorgeuil, 75002. La Maison du Chou: I compared the cream puffs at La Maison du Chou with those at Odette near Shakespeare & Co., and I much prefer these. Yes, Odette’s storefront is so much cuter, but I love the balanced flavors at La Maison du Chou. Their fillings are crème fraiche-based, so they’re not overly sweet. You feel like you can eat more than one without going into a sugar coma. 7 rue de Furstenberg, 75006, and 5 rue Jean du Bellay, 75004. L’Éclair de Génie: You can find this pastry shop all over Paris now, and for good reason. 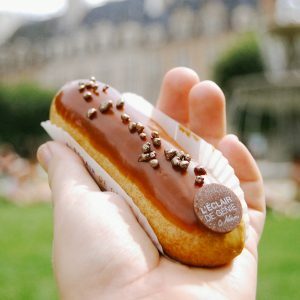 Their éclairs aren’t exactly cheap, but they’re delicious, interesting, and beautiful. They always have some seasonal flavors, so be sure to ask what those are. Locations. I feel like I don’t have tons of great restaurant recommendations because I would rarely stay in Paris for dinnertime. I always preferred to head back home to Versailles before nightfall. However, here are the handful of places I can recommend from my limited experience. Breakfast in America: We all need a little bit of nostalgia now and then, especially when living far from home. This place was always there for me when I was missing the casual, unpretentious, greasy food of American diners. My typical order would be pancakes or a chicken sandwich drenched in honey mustard, with a root beer – always with root beer. Locations. Pain, Vin, Fromage: I took my friend Michelle to this tiny hole-in-the-wall fondue place on one of our last nights in Paris, and I don’t know if it was the wine talking, but it was the best meal we had during her visit. It was just the right amount of indulgent that we needed. Endless bread, decadent cheese, those tiny French pickles, charcuterie, and wine, wine, wine. We barely said a word during the entire meal because we were enraptured with the cheesy goodness. I went back a couple more times and it was consistently tasty, but the experience is so much better if you warm yourself up with a few glasses of wine first. Definitely email or call to make a reservation, especially on weekends. 3 rue Geoffroy L’Angevin, 75004. Contact. Derrière: The best part about this place is the hidden fumoir upstairs. It’s accessed through the back of a mirrored wardrobe at the end of a hall. Their food is also pretty decent/interesting, as is their interior design. Just like Pavillon des Canaux, it’s designed like a house, so you can dine while sitting on a bed, next to a stack of art books, inside the brightly colored “kitchen,” etc. Here’s an old blog post about it. 69 rue des Gravilliers, 75003. 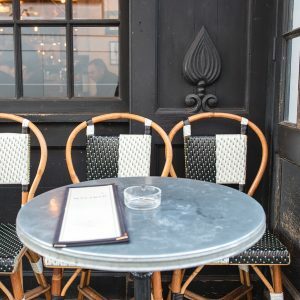 La Recyclerie: If you’re planning to go to the big Saint Ouen flea market in the north of Paris, this is where you should stop for food afterwards. It’s housed in a former train station, so the space is nice and airy. They serve up food cafeteria-style, and there is plenty of both indoor and outdoor seating to choose from. I love the mismatched chairs here, it really goes along with the flea market vibes. TIP: be wary of pickpockets and salesmen on the street in the area between the flea market and the Clingancourt metro. Just make a beeline forward and ignore everything else with your hand on your purse or with your wallet in your front pocket. You’ll be fine, it’s really never an issue if you keep to yourself. 83 Blvd Orano, 75018. De Clercq: This little take-away Belgian-style burger joint is cheap, tasty, and fast. Lots of people get their food and eat it in front of the Pantheon just around the corner. They proclaim themselves to be the King of Fries, which you can choose to sprinkle with vinegar and salt – or not. Their beef and chicken burgers are unique in that they’re enrobed in some kind of onion batter. I’m not really sure how they make them, but I do know it’s deliciously satisfying in a greasy kind of way, especially on beer-filled pub nights. 184 rue Saint Jacques, 75005. Musée Nissim de Camondo: The first time I came here, I was amazed. It is unlike any other museum in Paris both for its small scale and for how it shows a more immediate glimpse into early 20th century life. This is the former home of a very wealthy man (a banker and art collector). The architecture of the main foyer is increidble, especialy when the sun is streaming through the windows, but the thing I really appreciated was being able to see the kitchens! It’s rare to be able to see the behind-the-scenes, mundane aspects of aristocratic life. 63 rue de Monceau, 75008. Musée de la Vie Romantique: This is one of the tiniest museums in Paris, and I can’t say that the collection is particularly exciting, but I love how it’s hidden away into a deep courtyard, how there’s a tea salon with plenty of garden seating, and how it has an entry fee of zero euros. Also, it’s at the base of the Montmartre hill, so a great start to a day spent exploring the Butte. 16 rue Chaptal, 75009. Musée Gustave Moreau: This is yet another museum housed in a former house, that of painter Gustave Moreau. His canvases are plastered all over his two-level studio, mythological scenes that are super detailed and dramatic. The curvy, spiral wooden staircase here is also incredible. 14 rue de la Rochefoucault, 75009. Sainte-Chapelle: You have never and will never again see a church like this. It’s the finest example of Flamboyant Gothic architecture EVER for its amazing stained glass walls. It’s literally like walking inside a kaleidoscope. Put this on your itinerary immediately. Musée de l’Orangerie: This is a great place to get a taste of Impressionism & Post-Impressionism on a more manageable scale than the Musée d’Orsay across the river. 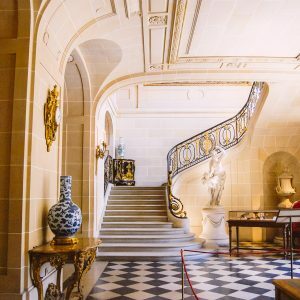 You can see Monet’s large waterlily paintings upstairs, then a smattering of Renoir, Picasso, Matisse, and Modigliani downstairs, among others. Le Petit Palais: Not only is the permanent art collection here great, the building itself is amazing. Check out the beautiful inner courtyard that’s adorned in marble mosaic. I also love all the temporary exhibitions they organize here, so see what’s showing before you go. Musée Rodin: The garden surrounding the Musée rodin is best seen during rose season. The combination of gorgeous, multicolored, sweet-scented blooms next to the very physical, textured, visceral sculpture of Rodin is the best kind of contrast. My favorite little area is around the Gates of Hell. Here you have an idyllic, peaceful garden filled with roses, and in the midst of this little slice of heaven, there is a HUGE sculpture that represents pain, suffering, misery, death and destruction, a metaphorical entrance to the domain of Satan. I mean, seriously – could it get more poetic/ironic/paradoxical?! I love it. 79 rue de la Varenne, 75007. Palais Royal: I used to see photos of the Palais Royal all over Instagram and I thought to myself, “What’s the big deal? It’s just some striped columns…” But then I resolved myself to actually see it in-person, and I immediately understood the appeal. The public art piece is interesting to look at, but more interesting is watching life unfolding among them. Kids run around them, climb on top of them, or hide behind them. Photographers take portraits of models or ballerinas here (I’ve truly seen a ballerina in a tutu and pointe shoes getting her photo taken here). The creamy stone creates a bright atmosphere even on the grayest of days. And the garden! The garden is nice and compact, cozy-feeling. In early spring the pink magnolia trees bloom simultaneously with bright yellow daffodils. Later on in the year the roses bloom. 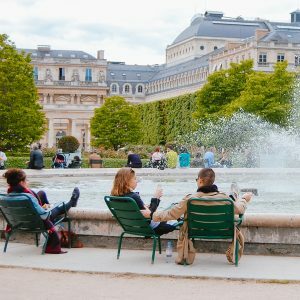 It’s just a perfectly Parisian place to chill out. 8 rue de Montpensier, 75001. Place des Vosges: To make the most of this 17th century square, come on a warm sunny day when it’s filled with happy sunbathers, little dogs running around, and the pleasant sound of the fountains babbling. If you’re lucky, you’ll also hear an opera singer or full eastern-european style folk band playing some sweet tunes in the covered halls along the perimeter. Bring some food or get yourself a falafel on Rue des Rosiers and have a picnic. Giverny: This is not technically in Paris, but it’s a great day-trip from the Gare Saint Lazare. Catch the train to the town of Vernon, then take the shuttle bus or rent a bike over to Claude Monet’s former country home in Giverny. He created a gorgeous garden and waterlily pond for himself that changes thoughout the year. In early spring, see tons of bright tulips, later in the summer see purple wisteria blooming on the Japanese bridge, and in fall see huge dahlias as big as your head. You can also walk through his house which is super cute, colorful and cozy. This provides a taste of the French countryside with little time and effort. Closed during Winter. Let’s be honest – I wasn’t blessed enough to be able to actually afford the nice shops in Paris. Ain’t nobody got the money to buy a candle for 105 euros! At least I didn’t. However, there are a few shops that I genuinely found lovely to peruse, even though 98% of the time I would walk out with nothing. 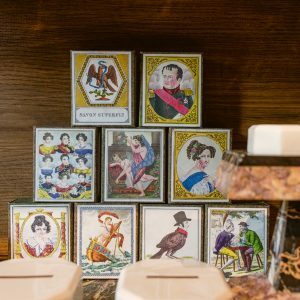 Cire Trudon, Astier de Villatte, and Buly 1803: Cire Trudon does scented candles, Astier does ceramics, and Buly does natural beauty products. I feel like these three stores could be owned by the same person or corporate group, but I don’t have any real evidence to back that up. I say that because they all have very similar vibes – 17th and 18th century inspired, antique elegance, yet everything is brand new. You could throw the stock of all three stores into one big store and it would all coordinate. Nose: This perfume boutique has a fun method to discover your “signature scent.” They stock perfumes from tons of different brands, and through a quiz and process of sniffing, palette cleansing, and elimination, they narrow it down to 4 scents that you then try on your skin. The hope is that you’ll discover a scent you fall in love with, and that you’ll feel confident enough to buy, since you’ve comparaed and contrasted it with 12 other scents AND tested it with your own bodily chemistry. It’s a fun experiment. I ended up purchasing Pop Collection by Costume National and I still love it. 20 rue Bachaumont, 75002. Merci: I like to think of this as the hipster’s department store. Once again, everything in here, besides a few notebooks, was out of my budget, but it was still lovely to look. If you follow any paris-based Instagrammer, you have probably seen photos of the cute red vintage car in their courtyard. 111 Blvd Beaumarchais, 75003.